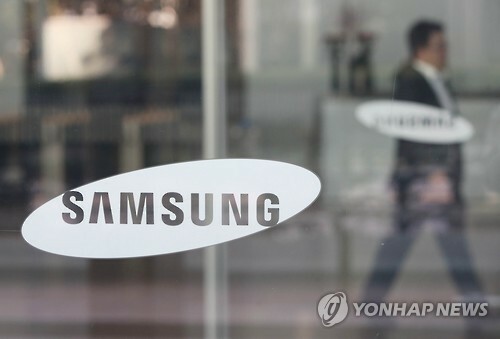 Samsung Electronics posted a record profit margin of 62 percent in its dynamic random-access memory business in the third quarter on continued strong demand for memory chips in the global market, according to the US research firm DRAMeXchange. The report released Tuesday said Samsung’s revenue grew by 15.2 percent from the second quarter to a new historic high of $8.8 billion in the July-September period. As the market experienced tight supply, total DRAM revenue for the third quarter rose by 16.2 percent from the second quarter, the report said. Another Korean chipmaker, SK hynix, also posted strong operating margins during the same period. The firm’s operating margin increased to 56 percent, up from the previous quarter’s 54 percent. Its revenue rose by 22.5 percent from the second quarter to $5.5 billion. In terms of revenue market share, Samsung and SK hynix accounted for 45.8 percent and 28.7 percent, respectively, in the third quarter. Together, they captured 74.5 percent of the global DRAM market. Meanwhile, US chipmaker Micron Technology reached 50 percent in operating margin in the third quarter. Micron took $4 billion in the third quarter, marking a sequential increase of 13 percent, and maintained a market share of 21 percent. “To ensure sufficient inventory, smartphone makers generally have no choice but to accept the price increases. Prices of mobile DRAM products could go up by 10 percent to 20 percent in the fourth quarter compared with the third,” said Avril Wu, research director of DRAMeXchange. “As for the server DRAM market, strong demand during the fourth quarter will also push up contract prices of memory modules by 6 percent to 10 percent from the previous three-month period,” she said.